Challenge Yourself, Challenge Your Colleagues! 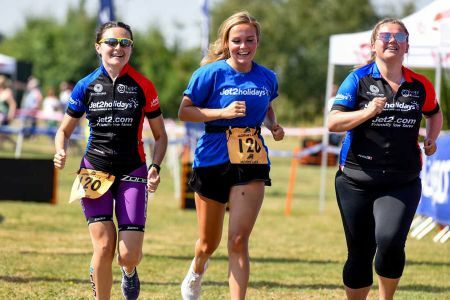 Welcome to UK Triathlon, organiser of the largest corporate series of events up & down the country, offering fun & friendly triathlons for all ages & abilities. 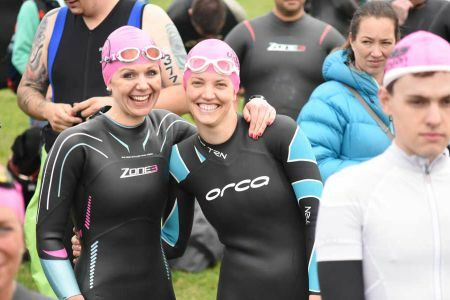 This is a great way to build camaraderie and challenge you & your colleagues to take health and wellbeing to another level. Not only is this a great team building activity, it also provides a relaxed social environment to mix with other organisations. 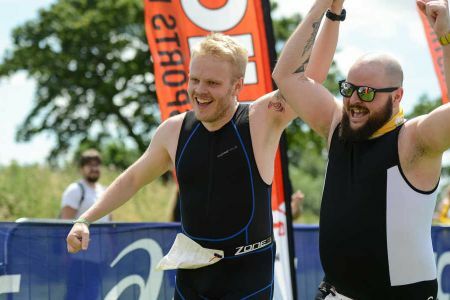 If you’ve never done a triathlon before, or even if you have, these events are a great introduction to the sport as the distances start from beginner level (200m swim – 10k bike – 2.5k run) and cater for all ages & abilities. 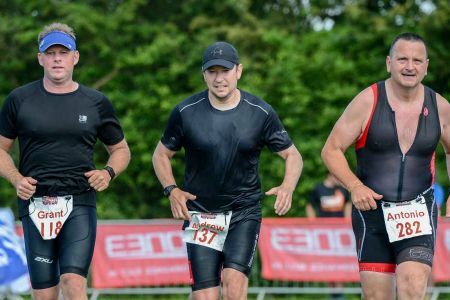 More importantly it’s all about creating excitement around the office in the lead up to the event and having loads of fun as well as a huge sense of achievement on the day when you cross the line to receive that all important finishers medal. 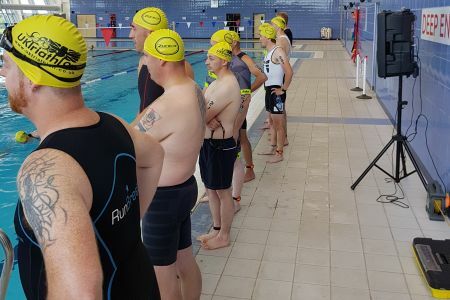 There are two options to participate in the Corporate Triathlon, participate as an ‘Individual’ or as part of a ‘Relay Team’ of two or three and share the challenge of swim, bike and run! 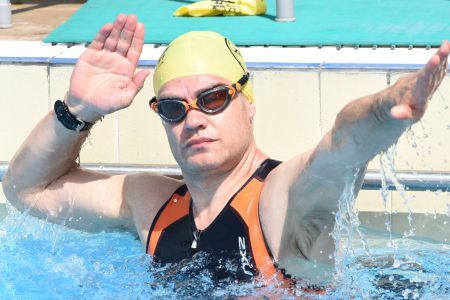 The events offer anything from a choice of two to four distances and the option of an indoor pool, outdoor pool, lake or sea swims. 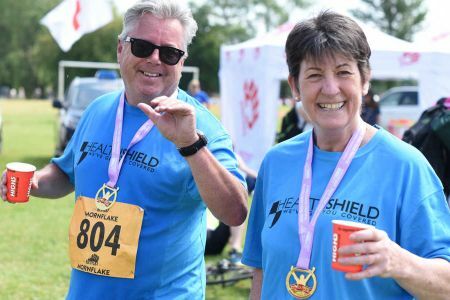 Fundraising is often a great incentive to take part and you can choose to raise funds for your nominated corporate charity, a local charity close to your heart or our 'Official Events Charity Partner' Cancer Research UK. 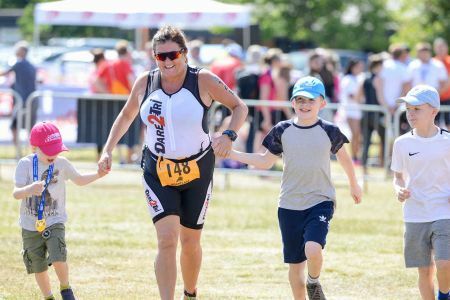 We realise that triathlon can be an imposing event if you’re new to the sport, however, please be rest assured we are with you the whole way from training in the lead up to the event through to your safety and wellbeing on event day. At the end of the day, it’s all about having a fun day out with your workmates, while at the same time achieving a fantastic and very rewarding challenge. 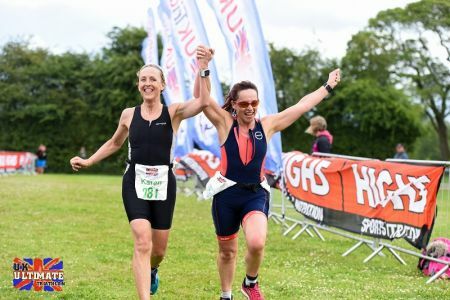 We can also offer you space at the event for a team tent and/or meeting point which allows competitors and supporting friends & family to congregate in one place and make a really good day of it. Every Organisation of any kind or size is eligible to enter as few or as many people as desired into any, or all, of the events! These may include employees, colleagues, clients, family & friends. There are no qualifying standards. Decide which event and the distance/s, not everyone has to do the same, event distances and event types can be mixed. You could also choose a 'Team Name' which will be announced alongside your name as you cross the finish line to receive your medal. 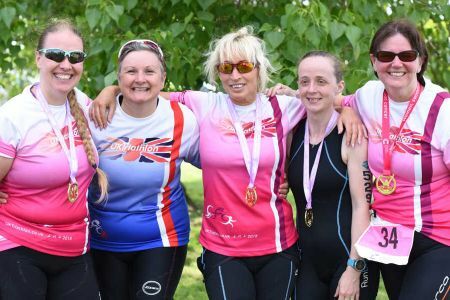 This could be your company name, the name of the charity you're fundraising for a simply a name of your choice such as 'Giving it a Tri' or 'Individual Effort, Team Victory'.... the options are endless! 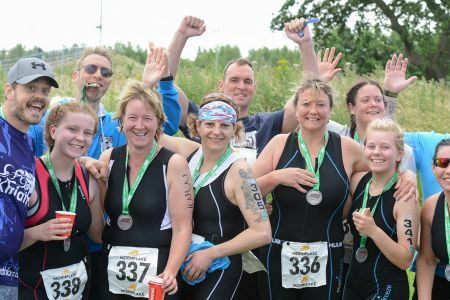 Contact the Administration Team on 01270 842 800 or email customercare@uktriathlon.co.uk to register your organisation and participants or for more information. Your entry will be confirmed via email.